Reliable: As a builder, you are going to have a million things going on at once and you need every member of your team to be reliable. When you call on us to do a job, we deliver which is why we are the top crane rental company in Virginia. It doesn’t matter the size of the project, it doesn’t matter the level of difficulty, we bring professional service and experience to each task and make sure it gets done. Real Experience: Experience cannot be undervalued in the construction industry as projects are becoming more complicated. Rougher terrain, harsh weather, more creative designs, tighter deadlines and more have made even the simplest tasks more challenging. That’s why we make sure that our crews are well experienced and ready to handle the task you need completed. Extra Help: Beyond just being a crane rental company, we are here to assist you with anything else you need including repair work, storage, on-site consultations and more. 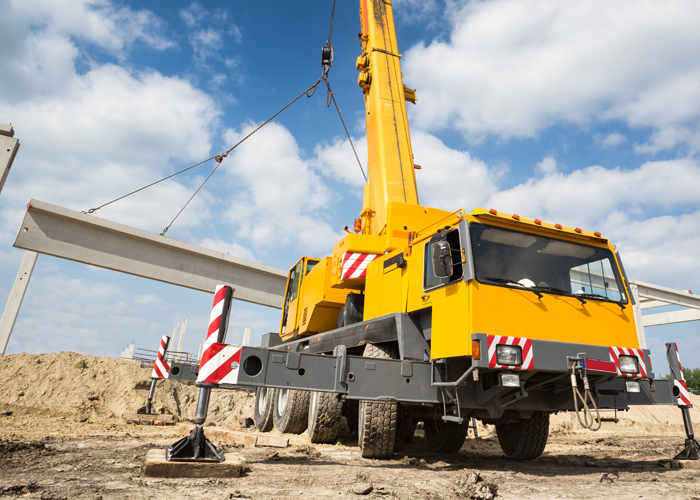 Where is safety ranked when you talk to crane rental companies in Virginia? It may seem like an odd question but understanding which company is going to be the safest is usually the best choice for you to go with. You have to realize that this is one of the most important aspects of construction. Lifting heavy materials, swinging them around buildings and placing them exactly where they need to go. There are thousands of dollars and several lives literally on the line and you cannot make mistakes. Even a small mistake can lead to serious problems and that’s the real reason you need to make sure that the team you hire is not only experienced but makes sure that safety is the primary focus throughout the day. Additional services should also play a key role in determining which company is right for you. For example, we work with a lot of contractors who take on new projects because they want the work but have never had a need for our services. Rather than trying to guess how much time and money you need for our services, you can contact us for a free consultation, even before you get the project. We assist you during the bidding process to ensure that you are basing your numbers and time frame on the right information, helping improve your chances of getting the job. If there is something we can do to help, we are happy to do so. While other crane rental companies focus on telling you that they do great work for the lowest prices, we let our services and experience do our talking for us. We’ve worked with many of the top builders throughout the state who still rely on us to show up, get the job done and make sure it’s completed safely. Rent-A-Crane separates ourselves from other crane rental companies because we focus on making sure the work is done well and being adaptable to your needs. Whether you have rough terrain, small projects, big ones or anything else, we will be able to accommodate your needs and get the job done. Contact us today to learn more or to schedule a free on-site consultation and see what we can do for you.